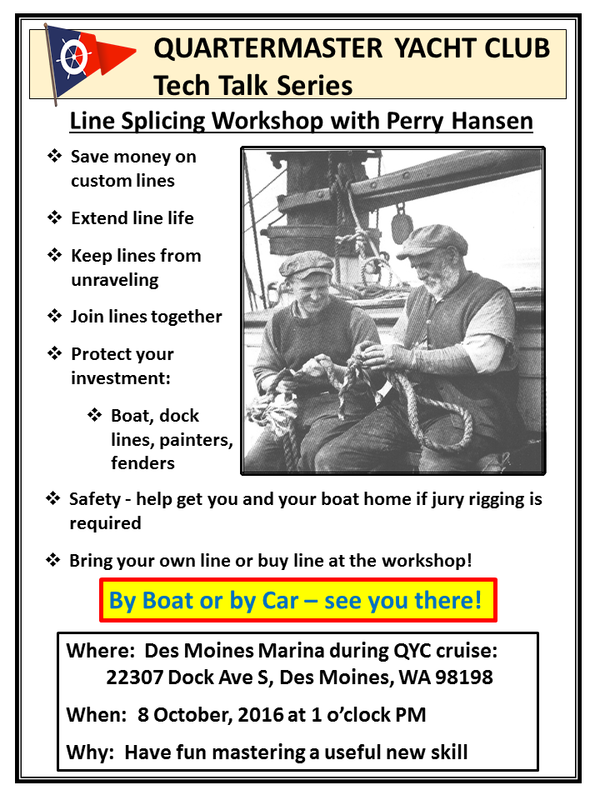 Join us at this workshop, held during the Des Moines cruise, to learn the basics of three strand line splicing. Get started on that line splice project! Bring your own line or buy line at the workshop. By the end of the workshop you will have completed an eye splice, an end splice, a short splice or perhaps all three. So start making your own custom lines, saving money and learning a new skill with your friends at the yacht club. By boat or by car - see you there!